World Phone is designed to be simple and intuitive to use. We’ve taken the calling interface already familiar to you and given it superpowers and more useful features. Let’s have a quick look at the dialer. It’s as familiar as any other with the addition of simple indications of your World Credit and call rate after you insert a number. 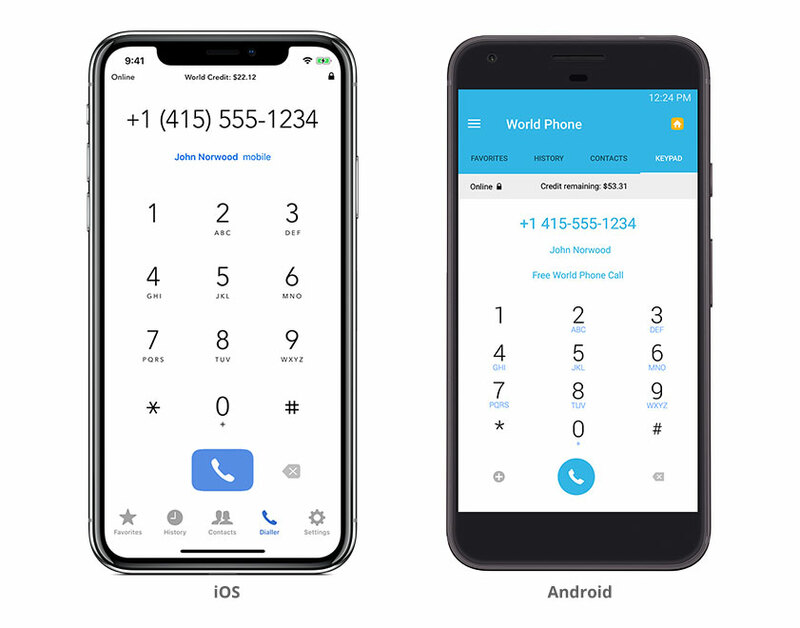 Type in a phone number with its local or international prefix to see its call rate below the number. If the receiver uses World Phone, your call is free! International phone numbers start with a plus (+) sign in its prefix. To add a plus, hold down on zero (0) on the dialer. World Phone has a unique Dynamic Favorites feature which adds your frequently called contacts to the list for quick access. Find it from the bottom menu – as Favorites. You can of course manually add contacts by tapping the ‘+’ button on the top right of the screen. Did you know that you can use World Phone to call contacts directly from your iPhone’s native contacts menu as well? From your contacts menu, hold down on the blue phone icon below their avatar image and select World Phone. Copyright © 2018 Norwood Systems. All rights reserved.